In January, we were very fortunate to receive the P.L.A.Y. 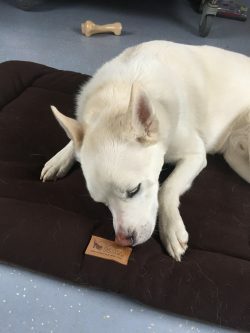 Pet Beds Grant! We are currently in the process of renovating one of our K9 spaces, and these beds are the perfect addition to their new space. The space, called Lloyd’s Dog House, used to be an empty area where we would house dogs in portable black crates. The space has since been painted, brand new floors have been donated and installed, and new kennels have been erected. 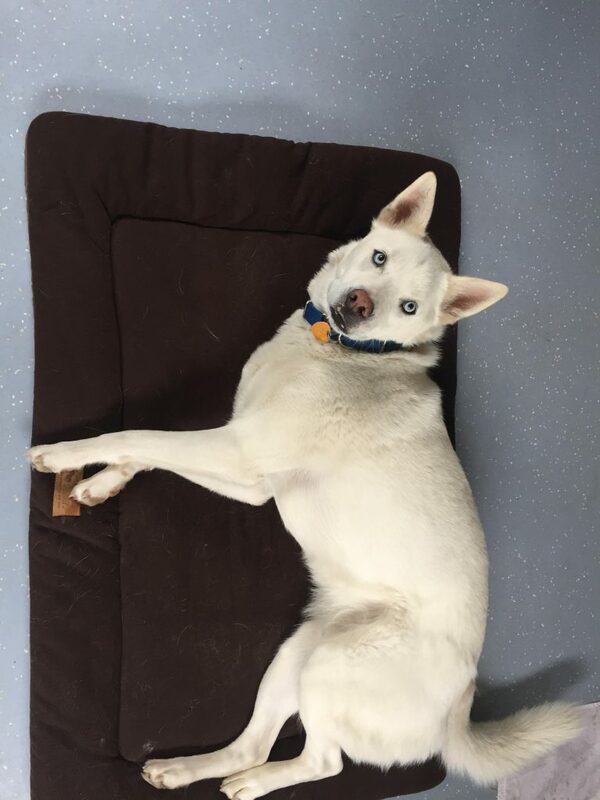 When all the kennels have been installed, each one will receive a new pet bed! Right now, our dogs are using them in their current spaces. Many of our current residents have been here for quite some time. Whether they spend just a few days or end up staying with us for several months, it is essential to us to provide them with top-notch comfort and care. These beds are well-loved by our dogs! So far, this grant has helped about 30 dogs, but will continue to help more! Pictured is our longest-term resident, Cooper. 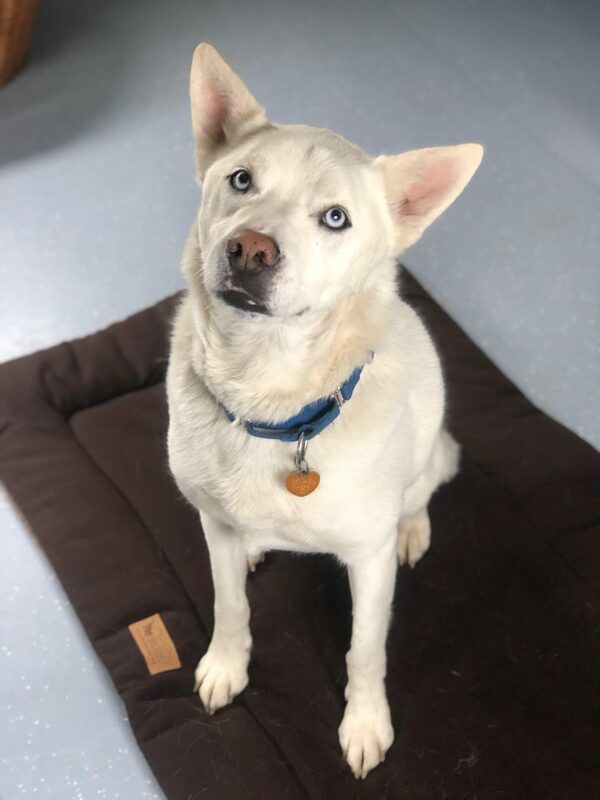 He is a husky mix who certainly enjoys the finer things in life, including comfy beds. 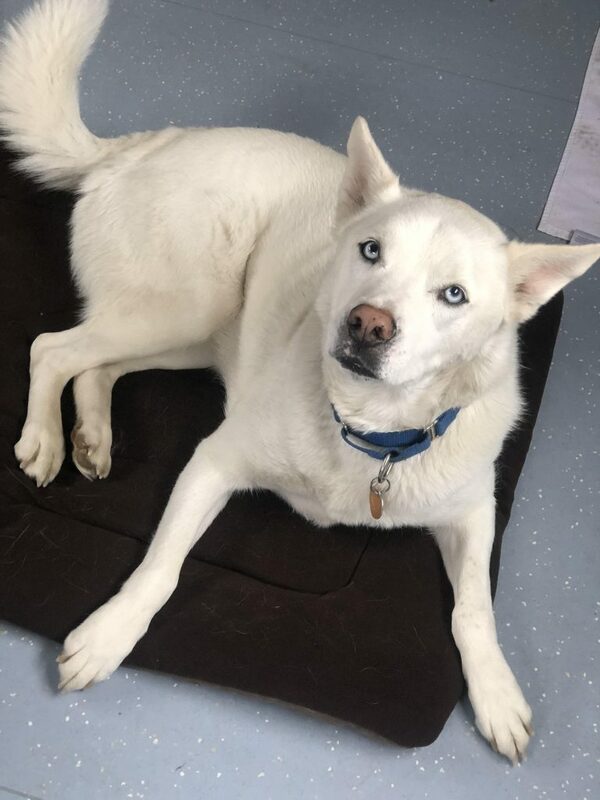 Because he has particular behavioral needs, he is currently being housed in a private room separate from other dogs and commotion. His bed makes his room, or his “office,” as we call it, nice and cozy for him! He has not been adopted yet, but has been working with a lovely family over the past several weeks to work on his behavior and ease into their lives and home. If it continues going as well as it has been, he will be with his forever family in no time! Meet Cooper here.